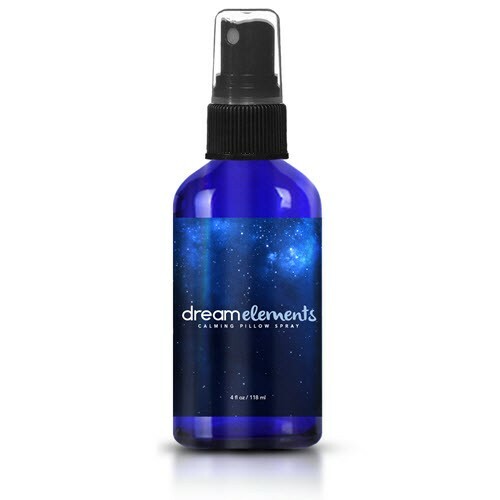 If you like aromatherapy, then you'll love Dream Elements Calming Pillow Spray. It's a new environment-enhancing spray infused with essential oils. The soothing pillow spray fits nicely into a relaxing bedtime routine. Dream Elements Calming Pillow Spray is a new aromatherapy spray for your bedtime routine. It contains several different essential oils that, when sprayed on your pillow at night, can contribute to the relaxing sleep environment that you set up for yourself. At night, right before bed, spray a few pumps of Dream Elements Calming Pillow Spray onto your pillow. For people with extra sensitive skin, spray on nearby surfaces or on the inside of your pillowcase to avoid direct contact with your skin. Chamomile, as an herb, a flower, an extract, and an essential oil, is one of the oldest botanical compounds known to man. It's been used for centuries - if not millennia - for a variety of purposes. Roman chamomile is thought to be the most effective, but the chamomile plant grows in a variety of countries with Mediterranean climates. Chamomile has a pleasant scent that is often incorporated into aromatherapy sprays, teas, perfumes, and lotions. Orange oil is an extremely versatile and popular essential oil. Orange oil is often used by individuals in the comfort of their own home for a variety of reasons. Major industries also take advantage of orange oil for flavoring beverages, food products, lotions, and perfumes. Orange oil is also infused into a variety of beauty products because of its pleasant aroma. This tropical oil is extracted directly from the flowering petals of the eponymous tropical tree which is native to the Philippines and is especially common in Malaysia. Locals have named this flower "the flower of flowers" not just because of its pleasant smell, but also because of its beauty and the multitude of benefits people get from its botanical extracts. If you've never heard of vetiver oil, then you're in for a treat. It's a sweet smelling grass that is native to India, but is popular all across the South Asian continent. It's even traveled as far as West Africa and Southeast Asia. Some people consider this plant to be sacred due to the great variety of health benefits which can be experienced from the extracts of its roots and leaves. The aromatherapy benefits from this planet are so powerful, that it is known in Sri Lanka and India as "the oil of tranquility". Dream Elements Calming Pillow Spray can be used on a nightly basis. You can spritz your pillowcase with a gentle mist of this aromatherapy spray to add a pleasant scent at nighttime to your bedroom. If you enjoy it when pleasant, fragrant, flowery scents surround you at night, then you may get some noticeable satisfaction from adding Dream Elements Calming Pillow Spray to your bedtime routine.